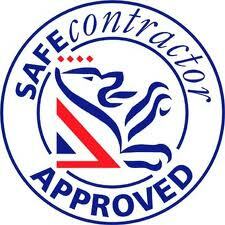 WE LIKE TO KEEP OUR CUSTOMERS UPDATED WITH THE LATEST REGULATIONS AND KEEP LANDLORD WITH THE CORRECT CERTIFICATION. As we now expanding into new Areas, we have always been keen to add Eaglesham to the areas that we cover. Eaglesham is a fantastic town, with a growing community and developement of new housing is somthing that is common place. We offer a great service with a quick turn around, in todays market you need to act quickly and responsive to keep ahead we can usually offer a 24 hour turn around with certificate been done live onsite.We offer services from the Testing to installations of smoke detectors for landlords. We are also approved electricians so can take on any electrical work that you may have feel free to give us a call 01418405236 and ask for a quotation. Our Eaglesham customers can contact us via phone or email, on our contact page, Certificates 4 Landlords provide a one stop shop for landlords looking to rent out their property. We offer certificates up to date with current regulations and we also offer smoke alarm installation. Feel free to give us a call for a free quotation. For landlords who have mutiple properties feel free to get in touch and we can discuss options for what certifcation you would need to be compliant in 2017.